Evanston Public Library, 1703 Orrington Ave. Between 250 and 400 employees were placed on unpaid leave for the Nov. 10 furlough day, which was created to counteract budget shortages. Between 250 and 400 city employees were placed on unpaid leave for the Nov. 10 furlough day, which was created to counteract budget shortages, city manager Wally Bobkiewicz said. Although the city kept essential functions operating — such as childcare, street sweeping and the 311 system — the snow on Friday complicated the furlough day, and some departments were frustrated with not being able to provide services for residents. 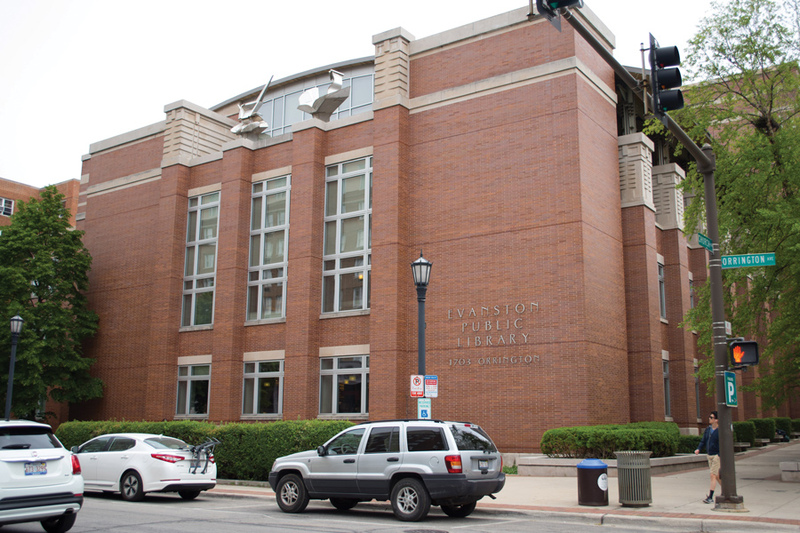 Evanston Public Library board president Benjamin Schapiro said the furlough days were not a reflection of the library’s budget, but of the city’s, which is facing a $1.9 million shortfall after the city overestimated the revenue it would receive from this year’s building permits. Schapiro said EPL has operated as a separate entity from the city for seven years, but library staff were lumped into furlough because they share a union with municipal employees. Still, Public Works Department head Dave Stoneback said he had to call in 13 other employees Nov. 10 because of the icy conditions. The employees who worked then will be expected to make up the furlough day before the end of the year by taking another day of unpaid leave, he said. Stoneback said he knew the city did not have many other options, and a city-wide furlough day was better than having to lay people off. After negotiating with unions, Bobkiewicz said officials gave employees a month’s notice of the four-day work week. He said the city tried to make strategic decisions to minimize the impact on employees. The furlough day was not a “major challenge” for the Parks, Recreation and Community Services Department, even though about 90 percent of staff took the day off, said Lawrence Hemingway, the department’s head. He added that his division was permitted to continue providing child care services and facility rentals. City staff has also proposed three additional furlough days for 2018: President’s Day, Labor Day and New Year’s Eve, Bobkiewicz said. These days have yet to be approved by City Council.